As an outstanding manager, Tahir Jelani has managed countrywide projects in Pakistan and Afghanistan, including Poverty Scorecard Survey for BISP and the Third Party Field Monitoring for COMNet and Regular Programmes of UNICEF. A permanent team member of APEX Consulting Pakistan, he supervises monitoring projects across Pakistan. 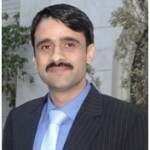 With extensive experience in managing and conducting national, provincial and district household surveys, census and monitoring and evaluation projects in education, health, livelihood, WASH, environment, community physical infrastructure, technical and vocational, and nutrition initiatives, he has worked with educational institutions, advertising agency and consultancy firms. He has a strong background in monitoring and evaluation, qualitative and quantitative research, data management, statistical analysis, and proposal report writing. A master’s in Business Administration, majoring in Finance from the University of Peshawar, he has also successfully designed a web-based GIS enabled M&E Reporting System for real time monitoring, besides developing a manual for field monitoring.